No, I kid, Keith is not for sale. However a whole massive giant bunch of his comics are!! And you can be the proud owner of several of them and guess what else?! He'll autograph them for you too! If you're like me and you've been a fan of Farscape for next to ever and have been following the comic series you are going to want to jump on this. 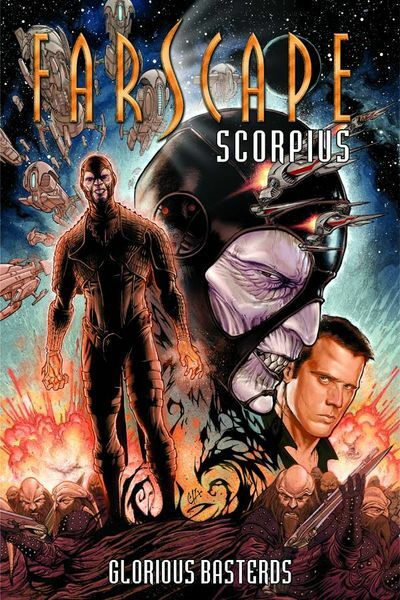 If you did not know there was a Farscape comic that picks up where the series and movie left off as well as some prequel background then you need to get on the bandwagon right now and ride this Leviathan all the way to happy Farbot town! For more details go Here or Here.